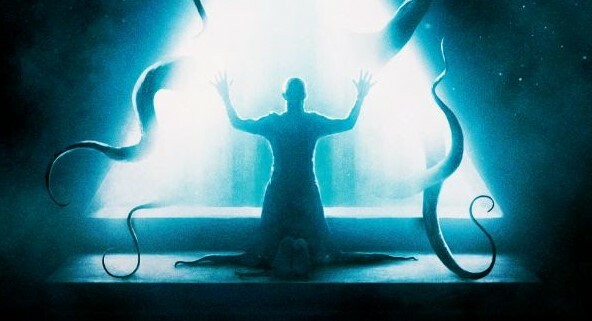 The Void Teaser Trailer Will Mess You Up! 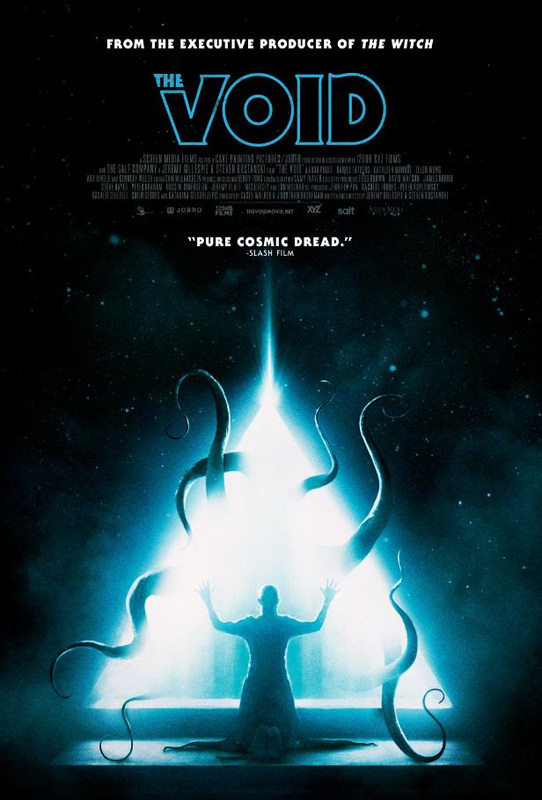 The mad Canadian geniuses who gave you such irreverent fare as Father’s Day and The Editor have cooked up their darkest and most ambitious movie yet with The Void, a Lovecraftian, special effects-soaked headtrip designed to harm you. Literally. The film will release on VOD and theatrically on April 7th from Screen Media Films and you can follow the film’s progress by hitting both the official The Void website and Facebook page. Synopsis: When police officer Carter (Aaron Poole) discovers a blood-soaked man limping down a deserted road, he rushes him to a local hospital with a barebones, night shift staff. As cloaked, cult-like figures surround the building, the patients and staff inside start to turn ravenously insane. Trying to protect the survivors, Carter leads them into the depths of the hospital where they discover a gateway to immense evil. The movie also stars Kathleen Munroe, Ellen Wong, Kenneth Walsh, Evan Stern, Daniel Fathers, and Grace Munro and is written and directed by Jeremy Gillespie and Steven Kostanski. Check out the brand-new teaser trailer below and the official poster below that. Don’t say you weren’t warned! It’s like John Carpenter’s The Thing by way of Dead Alive!